The Union of Kilmun St Munn’s with Strone & Ardentinny as The Shore Kirk.was celebrated and blessed at a service in Kilmun Church on Sunday 24th September. 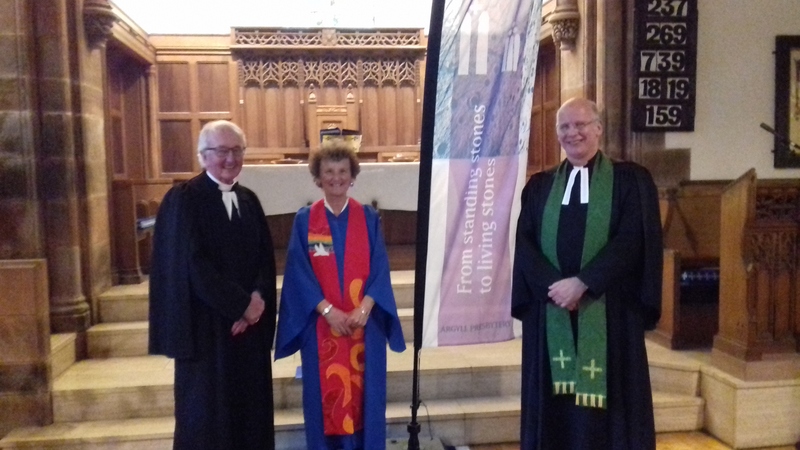 The preacher was Ms Marilyn Shedden, Presbytery Business Convenor and former Moderator of Presbytery. The photo shows Marilyn with (on the right) Rev David Mill, Minister of the new united Church, and Rev Joe Stewart.